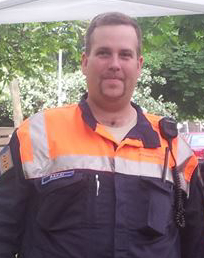 The Central-Buda Volunteer Civil Protection Association, as the FEMERAID International Budapest Unit launched its orphans program in early 2014; called „Orphans Against Disasters” (OAD). The main task of this initiative is to support those children’s self-rescue ability, who are orphaned or separated from his/her family. 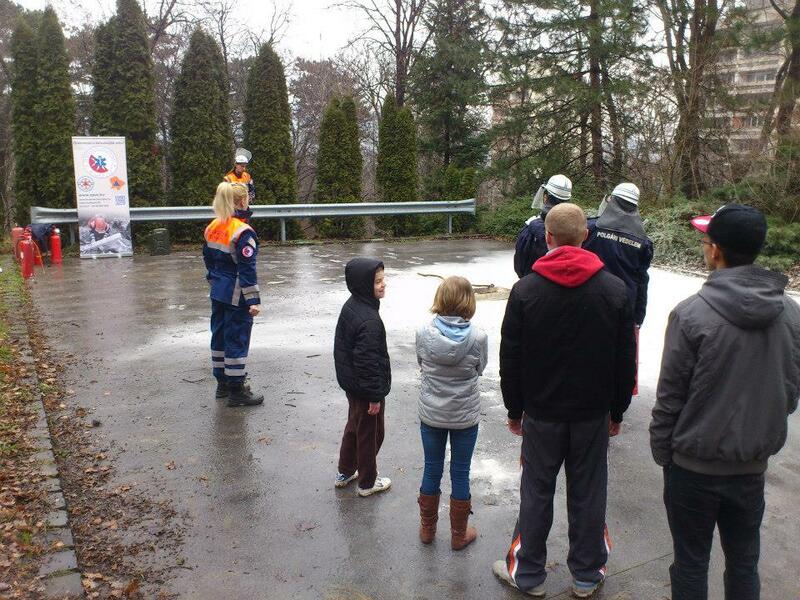 The second training of the OAD program was held on the 22nd February 2014, where the children had lectures on Fire-prevention and Fire-extinguishing and then a practical training was conducted outside. 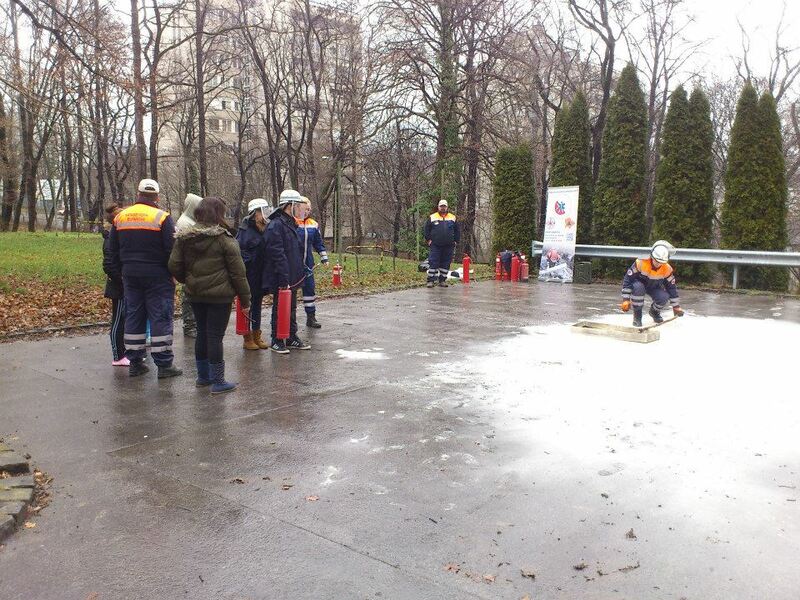 In the first part of the 2-hour lecture the children were taught the meaning of fire and fire-prevention, and they talked about what kind of flammable fixtures can be found in or around the household, and how can each type of fires be extinguished. 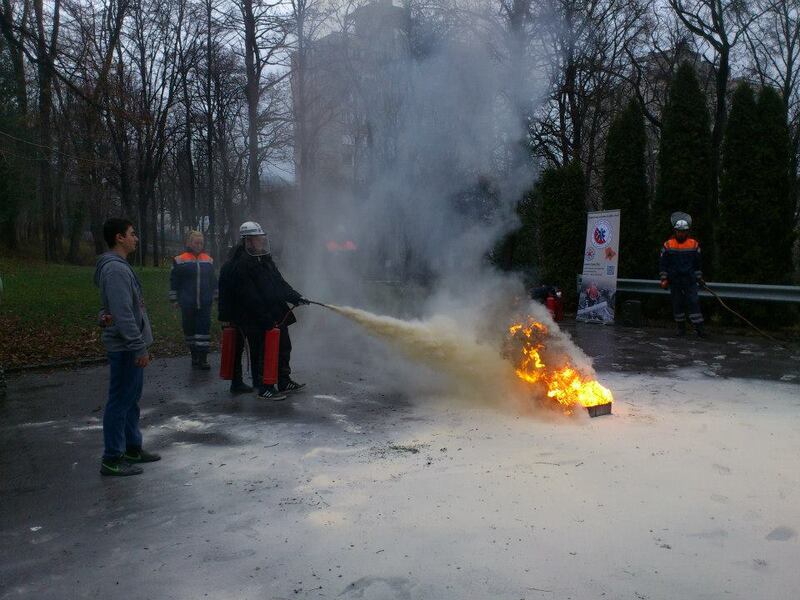 The instructors explained how to prevent fires more effectively, for example: what attention to pay if electrical appliances or wires are used. 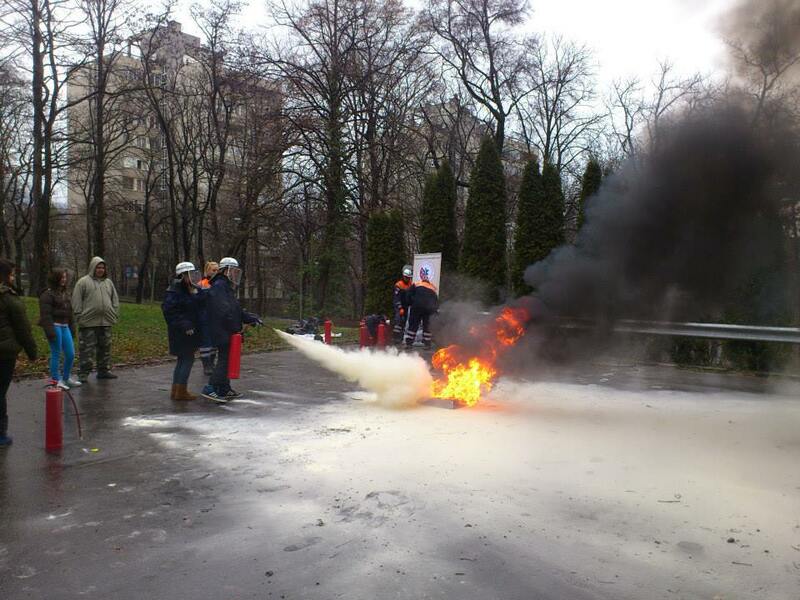 The instructors explained and demonstrated by video footage the process of developing fire. It was clearly visible how quickly a small fire becomes such a huge one, which covers already the whole room with flame; to what extent the room – and later the whole house – is filled with smoke; and what is the limit of a manual fire-extinguisher, when we are still able to tame the flames. Those tools were also collected, that can be used in case of need to extinguish the fire, when there is no fire-extinguisher, or it does not work, or we do not have access to it. Then, the young audience was informed about the rules and directions to announce the fire, what to follow when they call the Fire Department, what phone number to call, what are those informations that must be given for sure to the fire brigade operator in order to help and greatly assist the work of the fire-fighters and specialists before or when they arrive to the scene. The children were acquainted with the principles of operation and usage of the hand-held fire extinguisher, which they could even try out at the end of the lecture. After the theoretical part and a short break the fire-fighting practice took place in the yard. Gasoline was poured into a small, metal, „fire-pool”, which was lit, then it was demonstrated how to approach safely and extinguish the fire. The children were organised into pairs, protective equipment was given to all of them, and then everybody got a powder fire extinguisher. The task was successfully accomplished by all children. The importance of this exercise mostly manifests that now everyone is aware of his/her own limits and abilities on how big fire they can extinguish with a typical device; beside this they felt its weight, and experienced the technique how to handle the extinguisher in order to act more effectively in case of small fires. In the next part of this initiative, at the end of the school year, the program is going to continue with chemical protection (Hazardous-material „HAZ-MAT” prevention) and First Aid trainings.